Located In Toronto's Trendiest Spots, King West!Beautiful And Spacious 698 Sq Ft Open Concept Corner Unit With 111Sqft Terrace. 9 Ft Ceilings, Floor To Ceiling Windows, Hardwood Floors Throughout, Granite Counters, S/S Appliances And Center Island, Spa Style Bathroom With Large Frame-Less Shower, Lots Of Rental Parking Avail, Walk To Great Restaurants, Shopping, Cafes, Bars, Theater, Financial District, Parks And Much More! Locker Included! 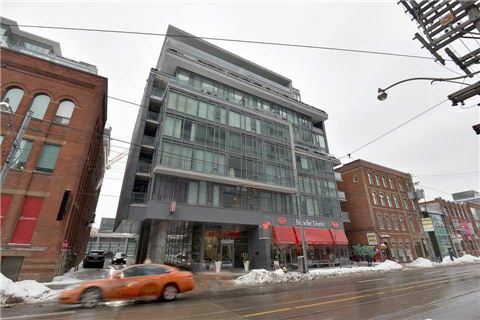 Want to learn more about 605-650 King St. W? I would like to learn more about 605-650 King St. W.